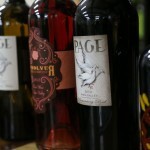 Page Wine Cellars was founded in 1997 with a tiny production of just 36 cases. 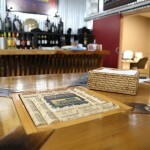 The winery and winemaking are operated by Bryan Page and his brother Chris. 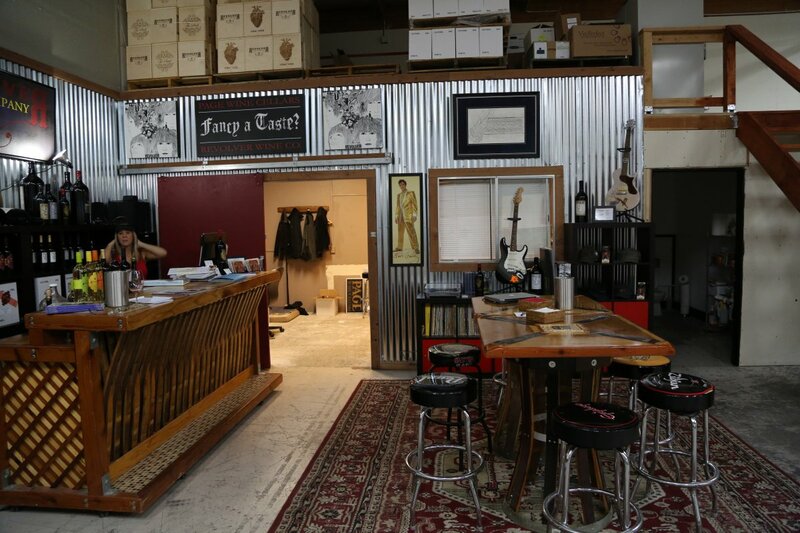 The winery is in a warehouse location in the city of Napa just off of Highway 29. Brian is a former professional chef who has cooked since the age of 16 and worked at some well known local area restaurants (including a stint at Domain Carneros) before deciding on a career change. Brian also has spent time in Europe – including touring much of Bordeaux and other French wine regions. As a result of his “food” background and perhaps his influence from the French wines, his wines are among some of the more food friendly wines in the Napa Valley. You are not going to find huge fruit bombs coming from Page Wine Cellars. He crafts his wines so you discover the varietal characteristics rather than the oak. We should also mention that his red wines are excellent candidates for long term proper aging. 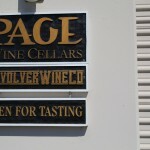 Page’s first vintage was released in 1997 and he now concentrates on three labels, the Page, Le Nu and the Revolver. 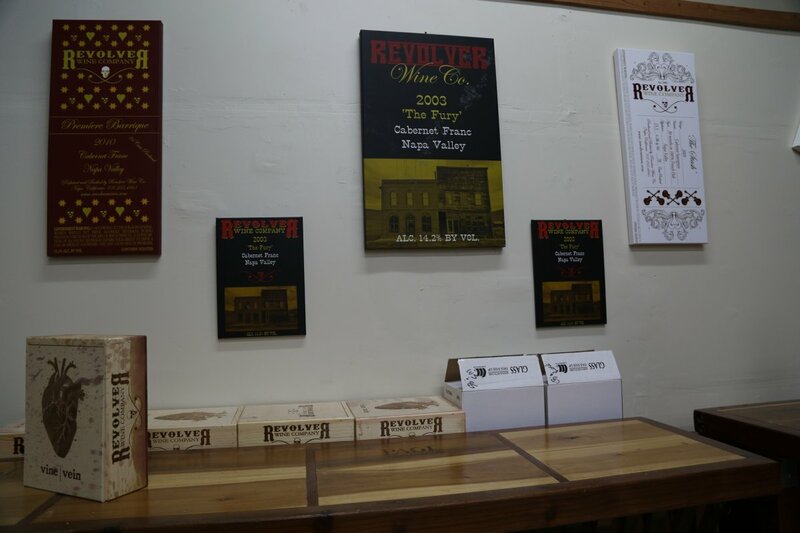 The Revolver focuses more on single varietal wines and Page Cellars is more Left Bank Bordeaux style blends. 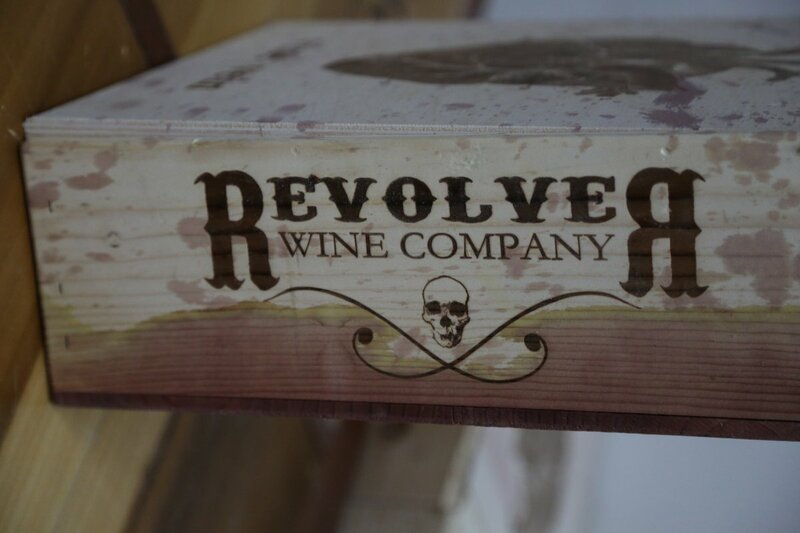 The Revolver theme as you may have guessed is western in nature with ghost towns, weather aged wooden buildings, guns and historical guitars from well known older musicians built into the marketing and packaging. The total production on all his wines as of press time is about 2000 cases with most of his wines coming in at merely several hundred cases. 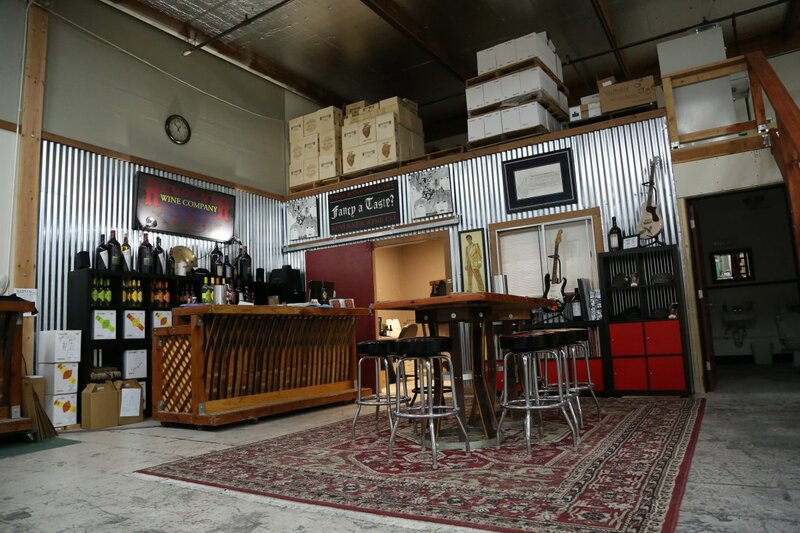 Some small wineries have several people involved with a case production such as this, not Page Cellars and it is a testament to Bryan’s dedication and passion to wine in regards to managing this production. 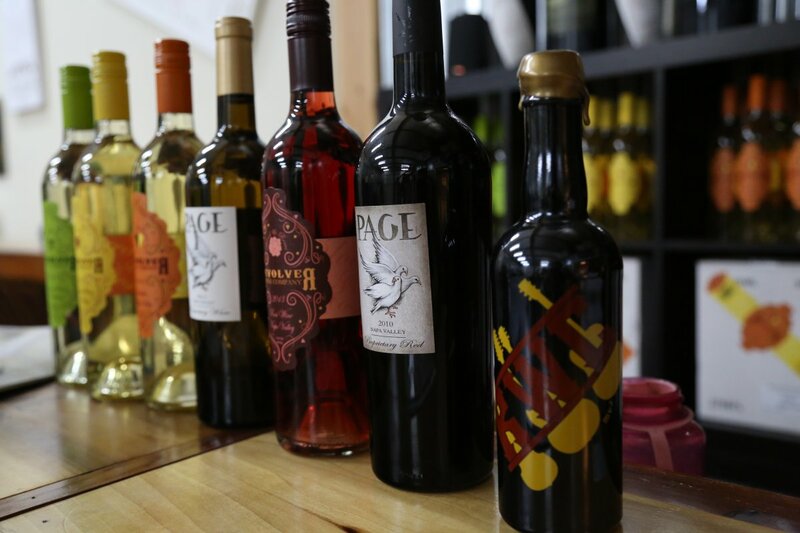 All of Page’s wines are unfined and unfiltered for maximum color and flavor. 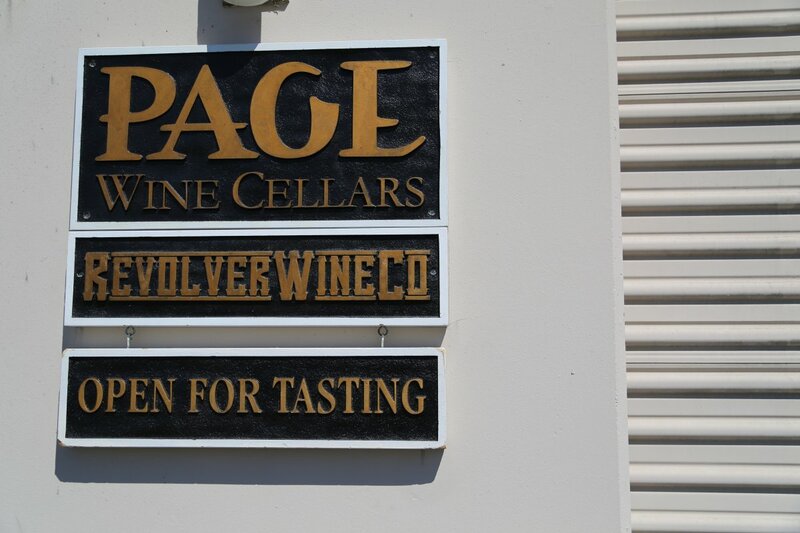 While many producers have automated to some extent the in-winery processes, not so with Page Wine Cellars. Everything is very much done by hand at the winery – literally, even most of the bottling. Small lot T-bins are used to micro-manage during crush and individual pickings are sorted by hand. They even use a hand crank basket press on their wines which allows Bryan to determine exactly when to stop crushing based on flavor, texture and color. Needless to say every part of his wine making is focused on that final quality in the bottle; his wines are literally hand crafted. And as a result, these are NOT cookie cutter wines. Recently in tasting through current releases we noticed each wine has its own distinctive character – the aromas are decidedly different from wine to wine as are the palates. 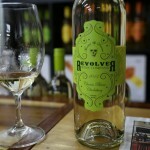 The 2008 Sauvignon Blanc is blended with a touch of Semillon. Of note is the Sauvignon Vineyard Page sources from; it is the southernmost vineyard in Napa County – located not far from the San Pablo Bay. It is always nice to try a Sauvignon Blanc that contains some Semillon. The Semillon brings some very nice tropical aromas and flavors to this wine including an additional richness found on the palate. Notes of kiwi, melon and passion fruit bring layered flavors to the wine with a clean refreshing finish. 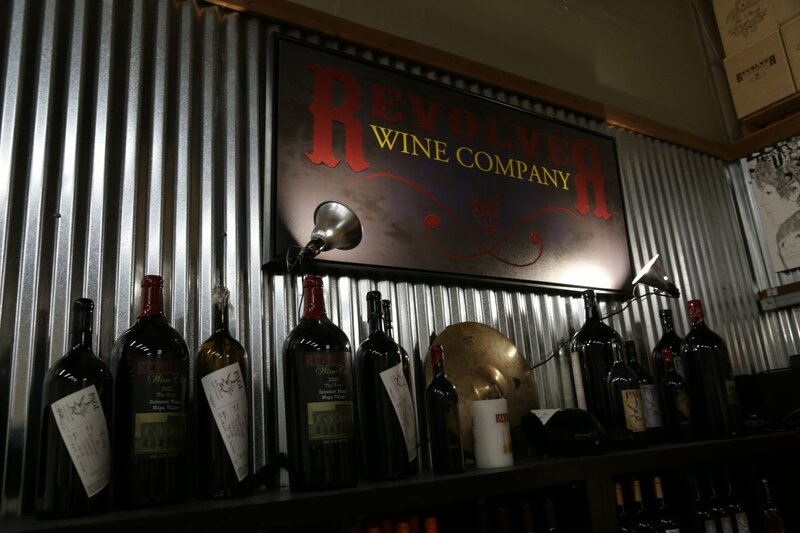 Most of their grapes are sourced from well established vineyards in Carneros and Yountville. The 2005, The Fury is found under the Revolver label. Yes, there is a story behind the name of this wine but you will have to talk to the winemaker for that one. 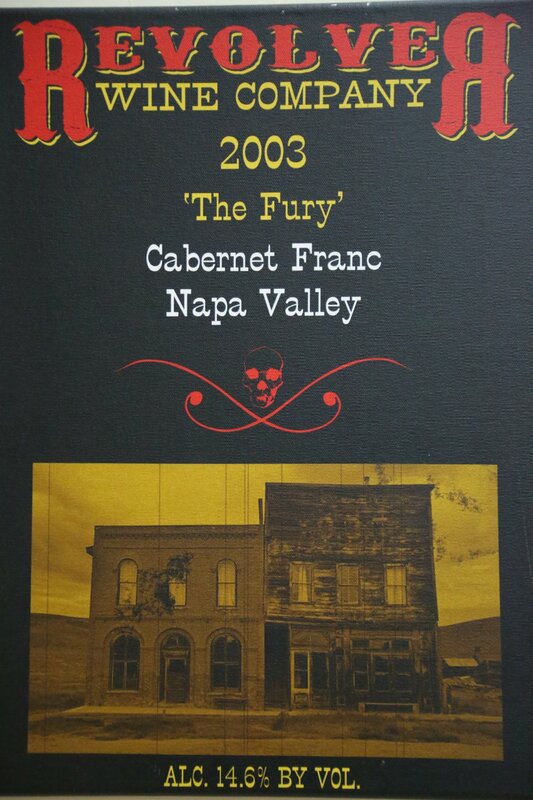 The Fury is predominately Cabernet Franc with some Cabernet Sauvignon and Petit Verdot blended in. It is aged for 3 years in 100% New French Oak; you won’t find many Napa Cabernet Francs with this type of oak program. This is a delicious wine that is big yet restrained at the same time with a fruit forward bouquet which continues onto the palate. Dark fruit flavors show including blackberry and black cherry. The finish is long, slightly dusty and with broad tannins. 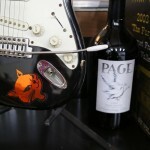 The 2005, “the Stash” is a predominately Cabernet Sauvignon blend with additional amounts of Petit Verdot and Merlot. This is a big bold layered red wine that should be extremely age worthy. It will coat your mouth red! Aromas of dark fruit, cocoa powder and vanilla lead to concentrated fruit flavors which include plum and black cherry. The finish is big and memorable with meaty tannins. It is recommended to decant this wine while it is still young and yes it is still very young at only 4 years. One wine made in 2007 found under the Le Nu label is a Chardonnay called the “naked Chardonnay” which as Brian says “shows the pure varietal characteristics of Chardonnay”. This wine is certainly that; it is unoaked, sees no malolactic fermentation and is in higher in acidity than you normally find with Napa Chardonnays. As a result this this is an excellent Chardonnay “food wine”. Even the packaging follows the “naked” theme – glass stoppers are used rather than cork. The 2007 vintage shows some mineral notes both in the bouquet and on the palate with clean lean fruit from start to finish. 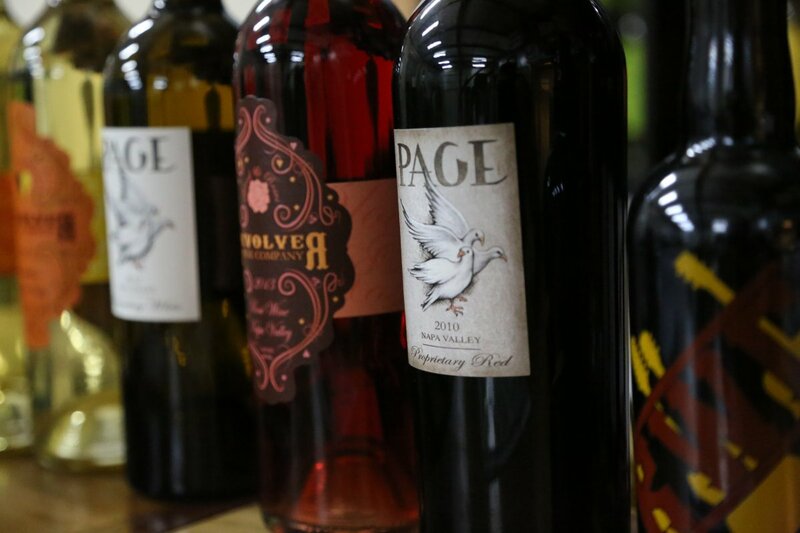 Page also produces other wines including a Proprietary red table wine, a Merlot and well as a sometimes made Petite Sirah Port styled wine. 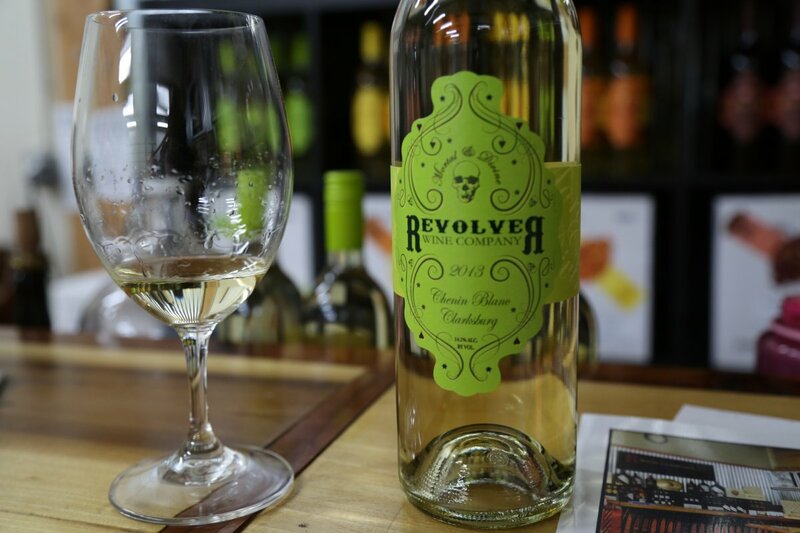 Chenin blanc used to be planted in Napa – today there is very little left in the valley and Page sources from one of the Chenin blanc hotspots in California, Clarksburg. A 100% varietal Semillon is produced. A delicious barrel fermented Rose of primarily Cabernet Sauvignon is not your typical lightweight or sweet wine of this type. 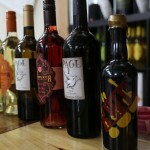 For a small producer – there is certainly a wide variety of wines available. 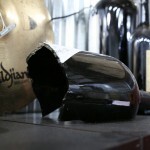 Joining their mailing list allows you access to first releases as well as small lot wines not offered to the public. 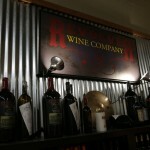 In mid 2009 along with another local winery – Page Wine Cellars opened a public tasting room called “Yountville Tasting Station”. However in 2014 Page moved out of this location and now conducts all visits and tastings at their winery in the city of Napa. This is a working winery, yet a part of the winery has been converted into a small tasting area with both bar and sit down tasting available. 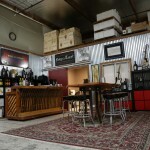 A tasting here incorporates both wine and music – based on Bryan’s passions. Old vinyl, guitars and other music memorabilia decorate this portion of the wineries. 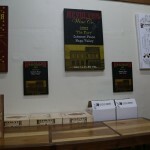 Several types of tastings are offered – their general tasting which includes current releases, look at future vintages with a barrel tasting and an appointment only winemaker tasting – where you taste through current releases and barrel samples with the winemaker Bryan or his brother. 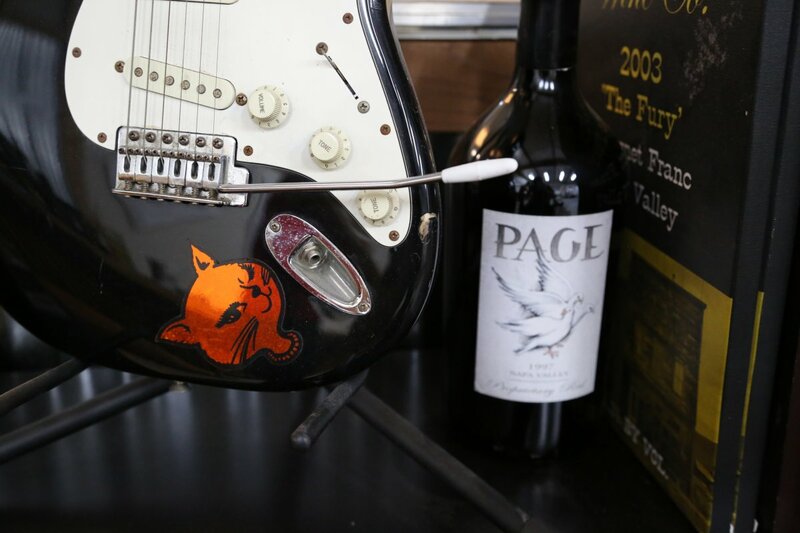 Drivers take note – there are very few driver lounges in the Napa Valley but Page Cellars maintains a small lounge to relax while clients enjoy a tasting – complete with a computer, internet access and music. 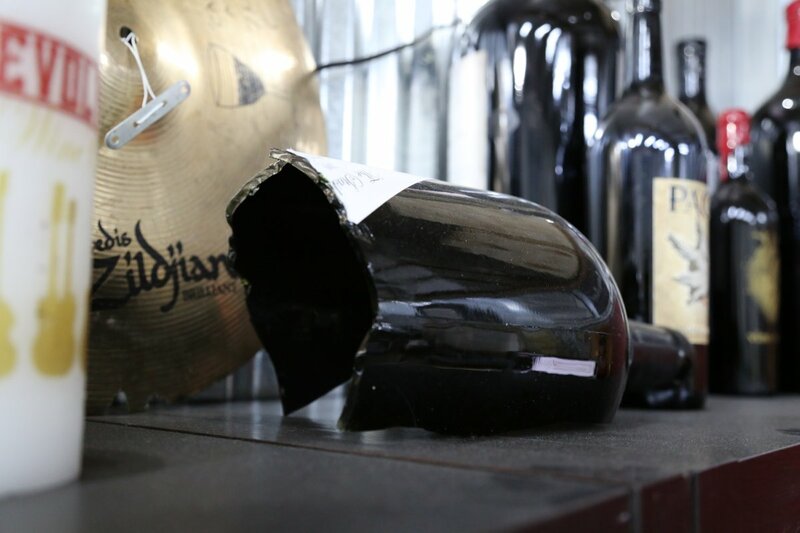 The Napa earthquake of August 2014 hit Page Cellars hard – they lost an estimated 20% of their wine that was on site – barrels came crashing down and cracked, cases fell, even tables and chairs were completely turned over. The floor of their driver’s lounge was completely flooded with red wine. However, a new wine has been born as a result of this earthquake – appropriately called “Furioso” – a soon to be much sought after wine that was created with what remained of their 2012 Cabernet Franc. Currently they sell a fine chocolates, artisan olive oil, and a number of spices. Based on Bryan’s culinary background they offer sit down tastings paired with various foods – it is with food that Page’s wines really come alive. Larger groups welcomed by appointment. 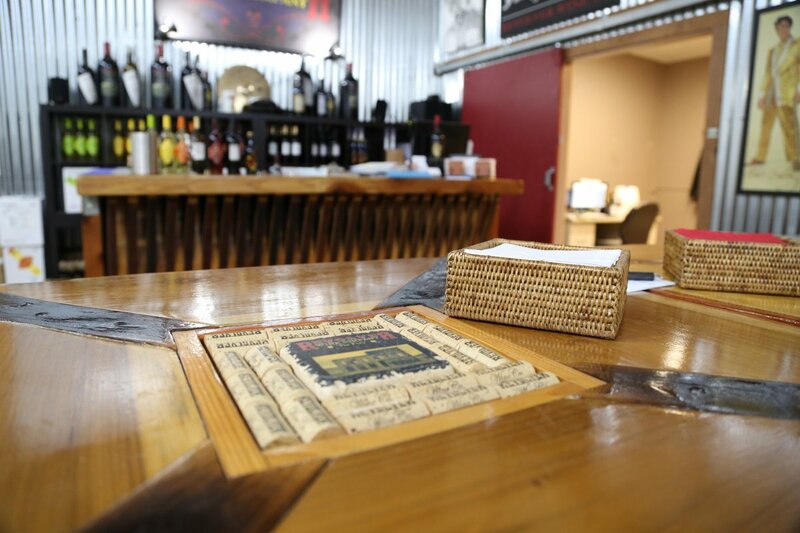 The winery is conveniently located just off of Highway on California Blvd (mere minutes driving from downtown Napa) or just a minute or two off of Highway 29. What are your hours for wine tasting. We visit your tasting room every year. Looking at visiting in May-June.